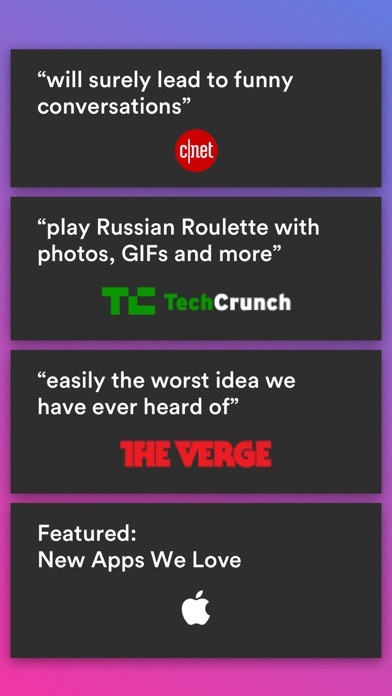 “will surely lead to funny conversations” – CNET “play Russian Roulette with photos, GIFs and more” – TechCrunch “easily the worst idea we have ever heard of” – The Verge Featured: New Apps We Love – Apple ¯\_(ツ)_/¯ Bored? 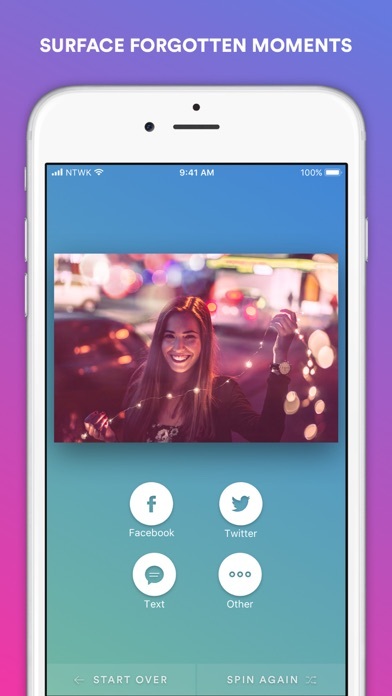 Send a photo, GIF, or quote. You don’t have to pick one, just let Rando do it. 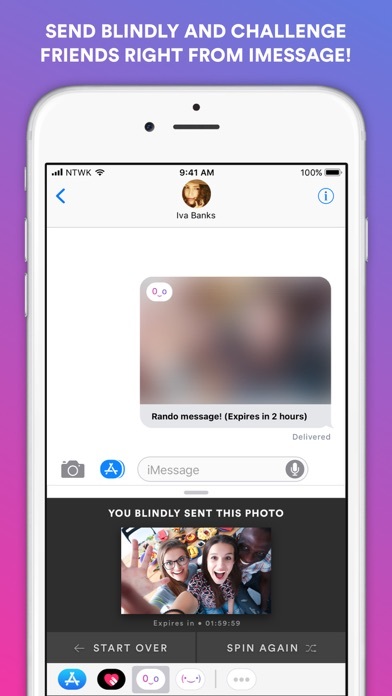 If you’re really brave, you can even send it blindly. 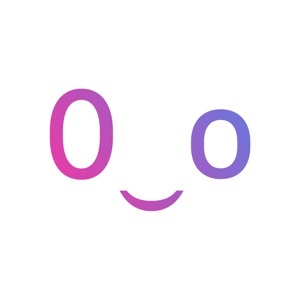 0‿o Rando. It’s random. 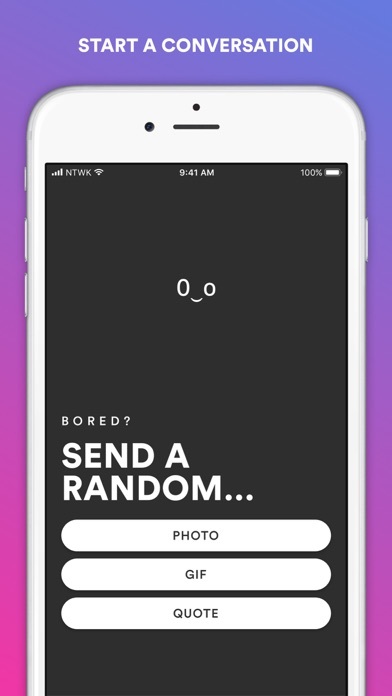 It picks photos from your Camera Roll, GIFs from Giphy, and quotes, and then you send them to someone however you want. Text, Facebook, Twitter, whatever. You can look at them first if you want, or not. It’s a conversation-starter… or stopper.